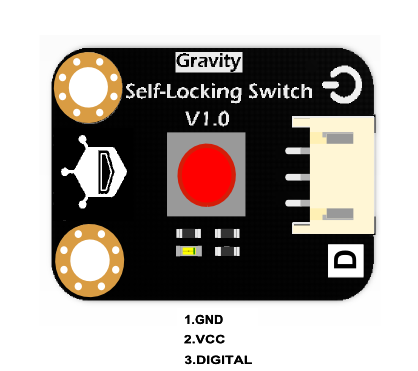 This is a new digital switch module with self-locking function. 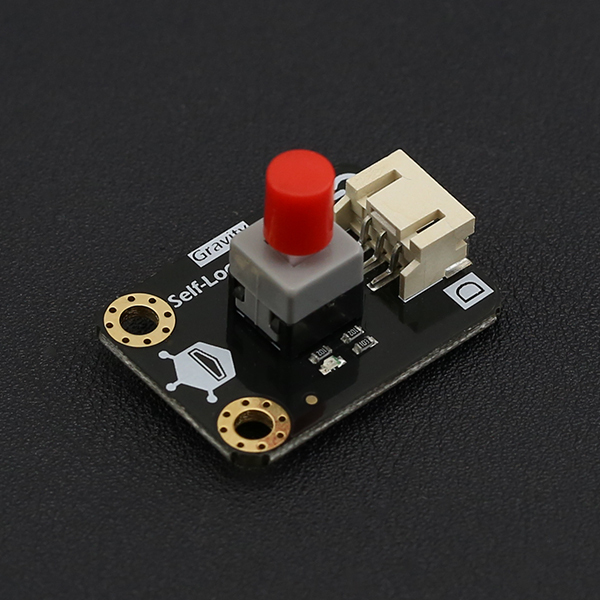 It could record the status of the button, compatible with DFRobot Gravity 3-Pin interface. Easy to combine with Arduino I/O expansion shield, making very interesting projects. The module is using immersion gold process, safety and non-pollution. Press the button to turn on the LED. This is a simple test code, to test button pressed or not. When you pressed the button , the LED of the pin 13 on the main board is on; Button again, the LED is off. There are no question about this product yet. If you have any problems or suggestions, you are welcome to post on the DFRobot forum. Shopping from Self Locking Swicth SKU:DFR0423 or DFRobot Distributor.